The Good - I am still here to talk about it, Thank you God !! The bad - most of it was spent in the hospital. 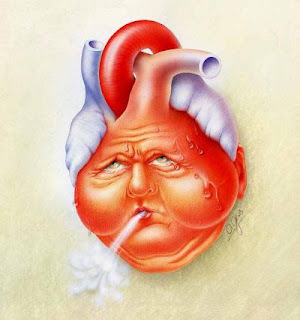 I have chronic heart failure, my heart played tricks on me again, culminating in my being admitted Monday evening. I survived but am all the worse for wear - further weakened heart muscles and a recalcitrant valve. It looks like I will need to cart oxygen around with me the rest of my life, but I could get lucky. That is funny 50 years ago "getting lucky" sure would have suggested something other than not needing to wheel a tank of gas around. Speaking of years ago, I have been having a great deal if difficulty trying to collect my thoughts, feelings, and emotions over this. My mind for some wild reason keeps going back to song lyrics from my youth. As the only person that I know of who carries around an Ipod touch only to use as a PDA, I have never been accused of being music oriented. I don't understand this new side of me. Everything in my head is a mixed up mishmash now. 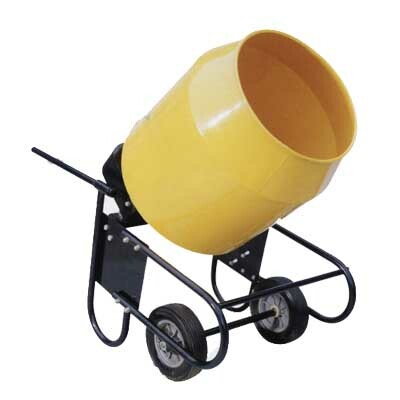 One song that keeps coming to mind when musing about these events is "Cement Mixer Putty Putty". The lyrics (as sung by Liberace) are pretty much nonsensical and not singable unless you have heard them (Original Jazz Version), but the concept of everything in my life being mixed together hodgepodge like a bucket of cement resonates with me right now. A second song from long ago which I can't seem to clear out of my mind is "Detour (it's a muddy road ahead)". I had plenty of warning that an episode of Heart Failure was impending, but did not recognize or acknowledge the symptoms in time. So now I have to crawl out of the new muddy hole that I got myself into and reorganize how I deal with everyday life. 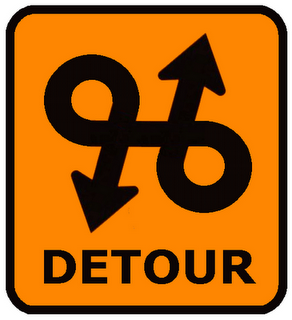 How much simpler things would have been if I had heeded those detour signs, or perhaps had made a U-turn.